HOLLYWOOD—Comedy acts have been a staple of Hollywood for as long as motion pictures have been around. None are as enduring—or as beloved—as the duo of Stan Laurel and Oliver Hardy, simply known as Laurel & Hardy. Having joined forces in 1927, they starred in 107 films together, including 23 feature films in black and white, over three decades. Laurel, of course, was a lanky British comedian, who played the bumbling, child-like friend of the portly and impatient Hardy, an American. The duo’s signature tune, “The Cuckoo Song,” was played over the opening credits of their films. They also were known for wearing matching bowler hats. Directed by Jon S. Baird (2013’s “Filth”) from a screenplay by Jeff Pope (inspired by the book “Laurel & Hardy—The British Tours” by A.J. Marriott), the film also stars Nina Arianda (as Mrs. Laurel) and Shirley Henderson (as Mrs. Hardy). Released in December 2018, the film didn’t exactly burn up the box office despite critical praise particularly for the performances of Coogan and Reilly. Reilly received a Golden Globe nomination for his dead-on portrayal of the ailing comedian, who soldiered on to perform live on stage even though he wasn’t feeling well. The good news for those who missed the underrated film at theaters is that it is available on Blu-ray and DVD and Digital Tuesday March 26. In conjunction with the launch of the home entertainment editions of “Stan & Ollie,” we were invited to take a guided tour of Hollywood, Culver City and Silver Lake, to view some of the locations that Laurel & Hardy used in their now classic films. Led by film historian Stan Taffel of the Sons of the Desert —The International Laurel & Hardy Society, we were shown locations such as the Culver Hotel, which was seen in the 1928 Laurel & Hardy film “Putting Pants on Phillip,” the City Hall (now just the facade) used in 1932’s “County Hospital” and 1934’s “Going Bye-Bye,” the former site of the Hal Roach Studios, where many of the interiors were shot, and Culver City’s Main Street, which was used in 1928’s “Leave ‘Em Laughing” and 1929’s “Angora Love” and “Liberty.” The piece-de-resistance, of course, was the 143-step outdoor stairway the comedy duo used to lug a piano in 1932’s “The Music Box” in nearby Silver Lake. Additionally, a visit to the Hollywood Heritage Museum revealed an exhibit of Laurel & Hardy personal artifacts including letters, autographs, photos, Hardy’s Screen Artistes Federation card and two lifelike wax statues of the comedians. The special features on the Blu-ray include a Q&A with the cast and crew, three featurettes, three deleted and extended scenes and the theatrical trailer. 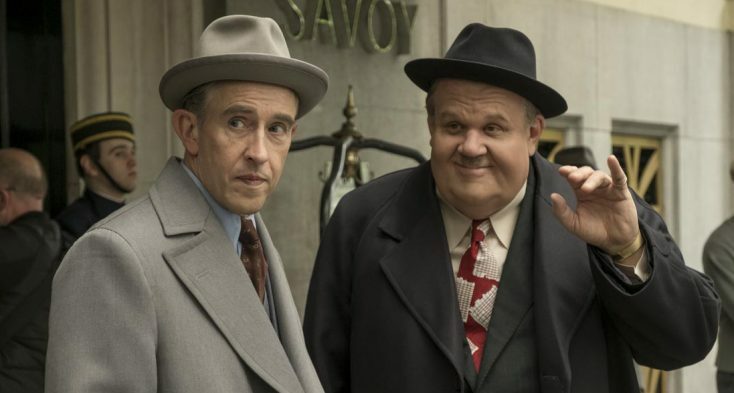 “Stan & Ollie” also will be premiering Tuesday on iTunes and Amazon Video. Fans across the globe will be able to own original pieces from the comedians’ glory days. Screenbid.com, Hollywood’s leading auction site, is presenting a recently unearthed collection of Laurel & Hardy ephemera that spans the globe and goes as far back as the 1920’s when the comedians were just beginning to work together. Hundreds of items will be available to introduce newbies into the world of Laurel & Hardy, as well as long time collectors as they will be able to own a part of the comedy duo’s heritage. Among the items in this auction include personalized and autographed letters Laurel, Hardy and film producer Hal Roach sent to fans, original press books including “Babes in Toyland,” “Swiss Miss” and “Atoll K,” Walt Disney Studios sketches of Laurel & Hardy, posters for their feature films and some of the two-reel short subjects including, “Twice Two,” “The Midnight Patrol,” and “Going Bye-Bye,” STAX publicity photos and life-size statues of them. 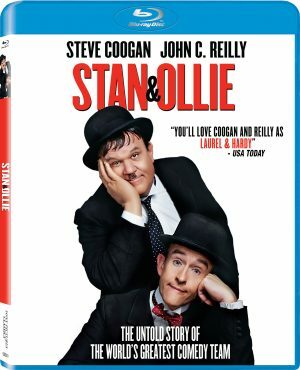 Additionally, Screenbid.com will have original Laurel & Hardy lobby cards, posters, press clippings, inserts, standees, comic books and more from their silent and sound films.